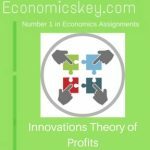 Does the marginal productivity theory apply to profit? The answer is “in a way, yes.” Marginal productivity, as we have already explained, is the expression of relationship between scarcity and demand. The supply of entrepreneurs is short and it is not easy to increase it. The demand for the entrepreneur’s services, especially entrepreneurs of exceptional ability, on the other hand, is great in the modern conditions of production. Since the marginal productivity of entrepreneurs is high, therefore, profits are high. The greater the factor of uncertainty and the greater the scarcity of entrepreneurs of ability high enough to make a success of business, the higher the profits. The only difference in the application of the theory of marginal productivity to entrepreneurs, as compared with other factors, is that here the forces of competition work directly, while in the case of the other factors thcy work through the employer, The ultimate substance i~ the same. It is the community’s competing demands that have to be satisfied, and thus entrepreneurial ability alternative uses. Forees of competition tend 10 equalise the profits of entrepreneurs of equal ability. The theory of marginal productivity, however, cannot be applied in such a clear-cut way to profits as it applies to other phenomenon of value. This is due to the fact that the entrepreneur performs a complex set of functions and the element of uncertainty refuses to be standardised. Moreover, the entrepreneurial factor cannot be increased or decreased in minute doses, since it constitutes one large unit. Withdrawal of one unit may disorganise the whole business. It is thus difficult to measure the marginal net product of the services of the entrepreneur. Marginal revenue productivity of the entrepreneur to an industrial firm cannot be masured as the marginal revenue productivity of other factors-land, labour, and capital-can be measured. 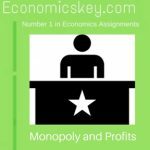 You cannot compare the marginal revenue productivity of one entrepreneur with that of two or three or of two with three or four and so 011. Contribution of an entrepreneur to a firm cannot be measured ill any physical units. No set rules are available to measure entrepreneurial ability. 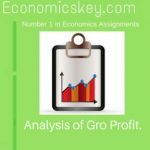 That is why to try to calculate the marginal revenue productivity of the entrepreneur to an individual firm is unrealistic. But the marginal revenue productivity of an entrepreneur to an industry can be measured in principle. This is so because, the number of entrepreneurs in an industry can vary and results of such variations or alterations can be studied. However, it will be necessary to assume that all entrepreneurs in the industry are homogeneous.